Developer Sarina DuPont from Embarcadero has a blog post up with a tutorial for building a REST app using Appmethod Firemonkey. The app uses a REST API to display clinical medical terms from the BioOntology API. The REST call is made up of the following components: TRestRequest, TRestClient, TRestResponse, TRestResponseDataSetAdapter, and FDMemTable. These five components handle the round trip of a REST call and parsing the result into a FireDAC MemTable. The TRestRequest makes the initial call before TRestResponse receives the JSON response and pipes it through TRestResponseDataSetAdapter into FDMemTable. The tutorial shows how to use LiveBindings to connect the data from the FDMemTable component to the UI elements. The code in the tutorial is in C++ but it works the same in Object Pascal. This app deploys to Android, IOS, OSX, and Windows. As a bonus at the end of the tutorial the blog post shows how to use the REST Debugger which is built into the Appmethod IDE to simplify debugging your REST API call. This tutorial should also work for Delphi XE7 Firemonkey as the FMX framework is the same in both IDEs. 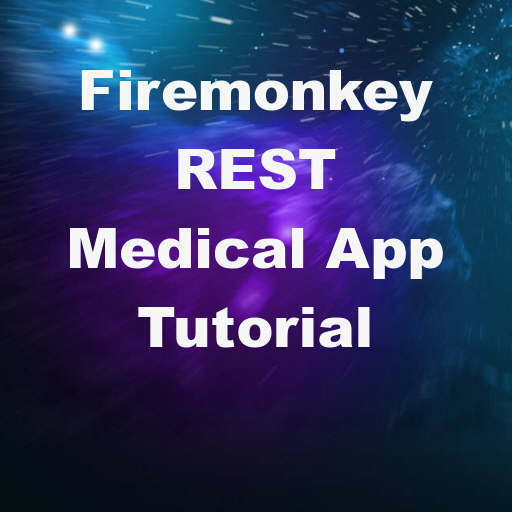 Head over and check out the full blog post tutorial on the Appmethod blog for building a REST app with Firemonkey.